According to a new market research report on the “Chemical Mechanical Planarization Market by type (Equipment & consumables), Application(IC manufacturing, MEMS & NEM, Optics and Others), Technology (Leading edge, More Than Moore’s, and Emerging), and Geography (North America, Europe, APAC and RoW) – Global Forecast to 2020″, the market is expected to grow at a CAGR of 6.83% between 2015 and 2020, and reach $4.94 Billion by 2020. The global CMP market based on types comprises CMP equipment and CMP consumables. The different CMP consumables included in this report are slurries, pads, and pad conditioners among the others. The demand for planarization in semiconductor devices would increase with an expanding number of end-use applications such as IC manufacturing, micro-electro-mechanical systems (MEMS), optics, compound semiconductors, and computer hard drive manufacturing. This increasing global semiconductor sales and growing economic activities in Asia-Pacific and North America is providing opportunities to the CMP equipment manufacturers and consumable suppliers. Most of the manufacturers use leading-edge and more than Moore’s technologies for semiconductors wafer fabrication. Some of the prominent semiconductor manufacturers and majority of start-ups or new entrants frequently work on smaller wafer sizes (less than 200 mm). The applications of CMP are varied and spread out in the electronics industry. The major application is understandably in the integrated circuit manufacturing industry. It is also playing an increasingly important role in different applications such as micro-electro-mechanical systems (MEMS) and optics. The CMP market segmented on the basis of technology is classified in three different sub-segments such as leading edge, more than Moore’s, and emerging on the basis of wafer size, processing nodes, and type of material used for the CMP process. The geographical market of CMP is segmented across four major regions, namely, North America, Europe, Asia-Pacific, and RoW. This CMP regional market is mainly dominated by Asia-Pacific, followed by North America and Europe. The Asia-Pacific accounted for the largest market share of ~67% and is expected to grow at the highest CAGR during the forecast period followed by North America. 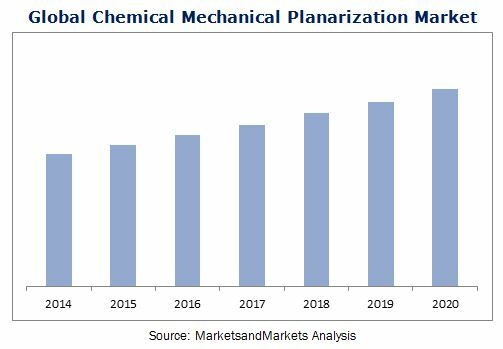 This report on the chemical mechanical planarization market also describes industry trends, drivers, restraints, and opportunities of the CMP market and forecasts the market till 2020. Some of the major companies profiled in the report are Applied Materials, Inc. (U.S.), Ebara Corporation (Japan), Cabot Microelectronics Corporation (U.S.), Dow Electronic Materials (U.S.), and Fujimi Incorporated (Japan). What the essentials of residential moving?